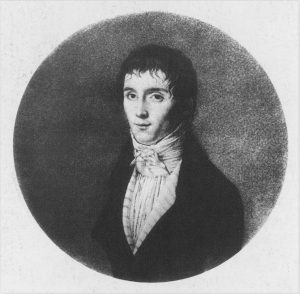 Portrait of Niépce in his youth. • March 7th 1765: Birth of Joseph Niépce in Chalon-sur-Saône (he will change his name to Nicéphore later). His father is a King counseller and deposits collector for Chalonnais. He has one sister & two brothers. • 1786: Joseph studies in Angers at the Oratorian Brothers. Physics and Chemistry are his passions. • 1788: Leaves the Oratoire and enlists in the National Guard in Chalon-sur-Saône. He signs his letters using Nicéphore as a first name. 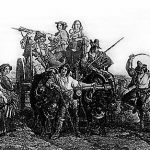 • 1792: Enlistment in the Revolutionary Army (south of France & Sardinia campaigns). • 1794: Nicéphore leaves the Army and lives in Nice. He gets married. His elder brother Claude comes to join him. • 1795: Birth of his son Isidore. • 1797: Travels to Sardinia with his family and his brother. It is believed that during this journey Nicéphore and his brother first had the idea of Photography. 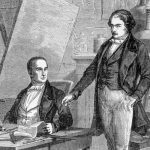 • 1798: Back in Nice, the two brothers perform their first inventors’ projects and work toward the development of a new engine principle based on air expansion during an explosion. 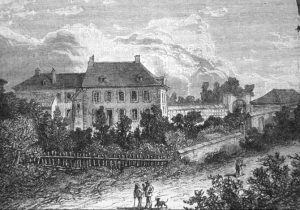 • 1801: Nicéphore, his family and Claude travel back to Chalon-sur Saône where they manage the familial estate that had been managed by Nicéphore Niépce’s mother since her husband’death in 1785. • 1807: The two brothers obtain a ten-year patent, signed by Napoleon , for their engine, which they name Pyreolophore. It is the first internal combustion engine in the world. A boat model two meters long goes upstream on the Saône river against the current with this engine. First sketch of the pyreolophore. • 1807 – 1809: Elaboration of a project for a hydraulic pump to replace the Marly machine that provided water to the Château de Versailles. • 1811: Works on as a substitute for indigo, scarce because of the Continental System. Woad cultivation on as a substitute for indigo, scarce because of the Continental System. • 1816: A year before their patent’s expiration, Claude leaves Chalon-sur-Saône for Paris, then England in 1817 to try to exploit their invention. • 1816 to 1818: Left alone, Nicéphore begins research on the fixation of projected images on the back of camerae obscurae. First experiments — first failures. He searches for quarries of calcareous stone around Chalon-sur-Saône to find stones appropriate for lithography. • 1818: An image remains stable (fixed) for three months. 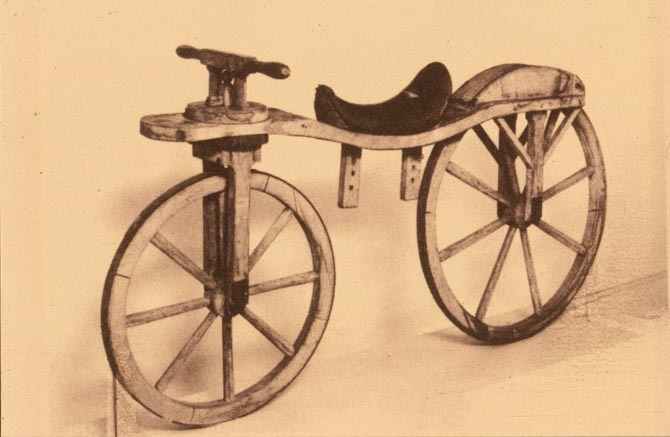 Nicéphore builds himself a dandy horse that he improves with an adjustable saddle. • 1822: Realisation of the copy of a drawing by the single action of light on a glass plate coated with Judea bitumen (portrait of the Pope Pius VII). • 1823: Reproduction of drawings by contact on Judea bitumen varnish. • 1824: Achieves “Points of view with the camera obscura “ (photographs) on lithographic stones.The exposure time is about five days. • 1824 to 1826: Images etched on copper plate, by treating the bitumen images with the aqua fortis method.Niépce resorts to a Parisian etcher, Augustin Lemaitre, to advise him and realise prints on paper from these etched plates. In 1825, Niépce also requests from Vincent and Charles Chevalier, opticians in Paris, all sorts of lenses to perfect his camera obscura. This is also the year of his son’s wedding with Eugénie de Champmartin. • 1826: He obtains images etched on tin. He extracts starch from a gourd called “giraumont” . Production of a textile fiber that can be woven from a plant called syrian milkweed. Point de vue du Gras, first photograph by Niépce. 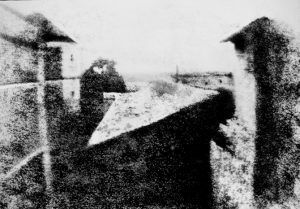 • 1827: Point of view on an unetched tin plate (the only preserved image achieved by Niépce with a camera obscura that is representative of this step of his research). 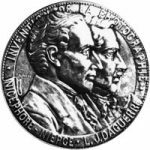 • 1828: Unetched images on polished silver plates achieved by exposing the latent image to iodine vapors. 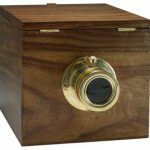 • 1829: Partnership with Louis Jacques Mandé Daguerre, a camera obscura specialist,with the purpose of improving the luminosity and the quality of the images at the camera obscura back . • 1830: Failure of all the two partners’ attempts to bleach the brown bitumen to directly obtain positive images. Daguerre discovers the distillat of lavender oil , without giving it any photo sensitive property. In june the two men work together for two weeks in Saint-Loup-de-Varennes. 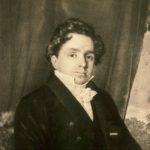 • 1831: Niépce works on all sorts of resin without positive results. • 1832 June: New visit by Daguerre at Niépce’s.The partners use as a photosensitive agent a distillat of lavender oil and obtain images in less than 8 hours’ exposure time. 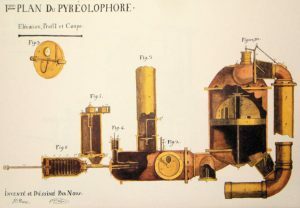 Niépce names their process: the Physautotype. 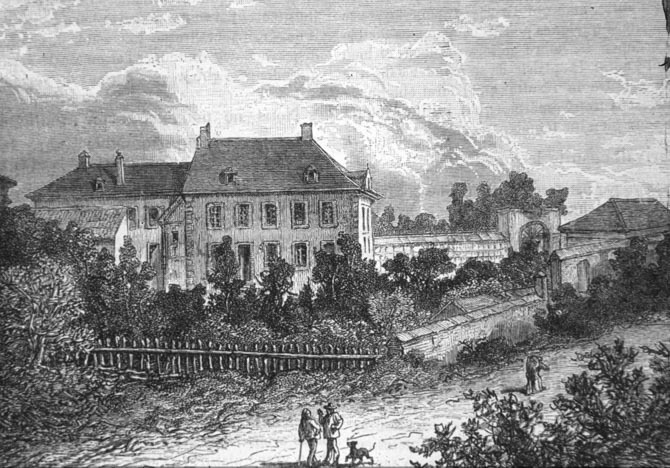 • 1832, November: Daguerre comes back to St-Loup-de-Varennes to work with Niépce on the new process. • July 5th 1833 : Niépce dies suddenly, none of his inventions having being officially acknowledged.